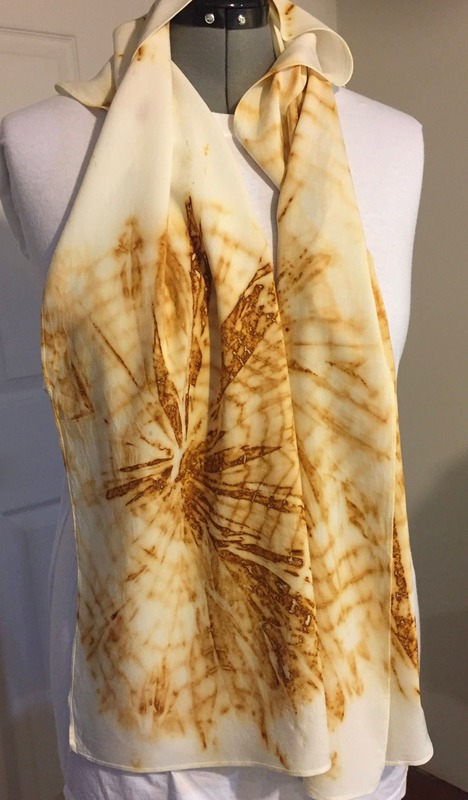 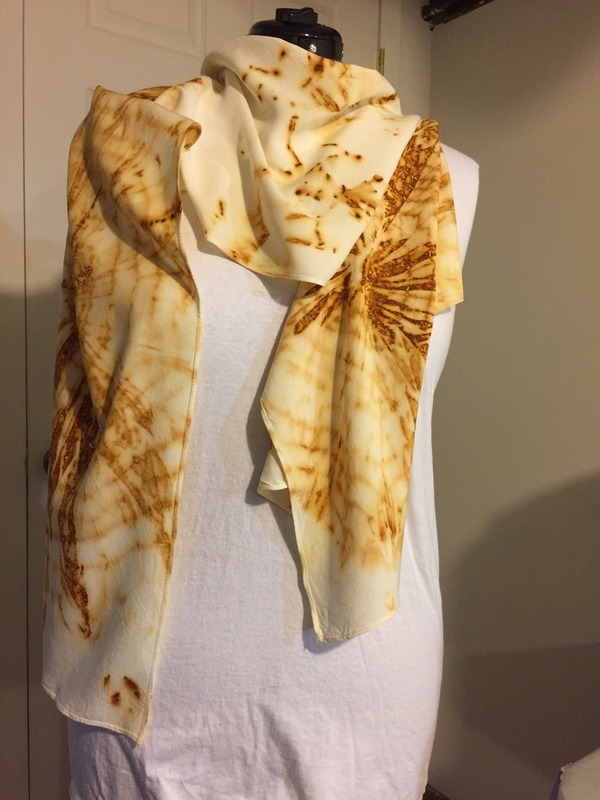 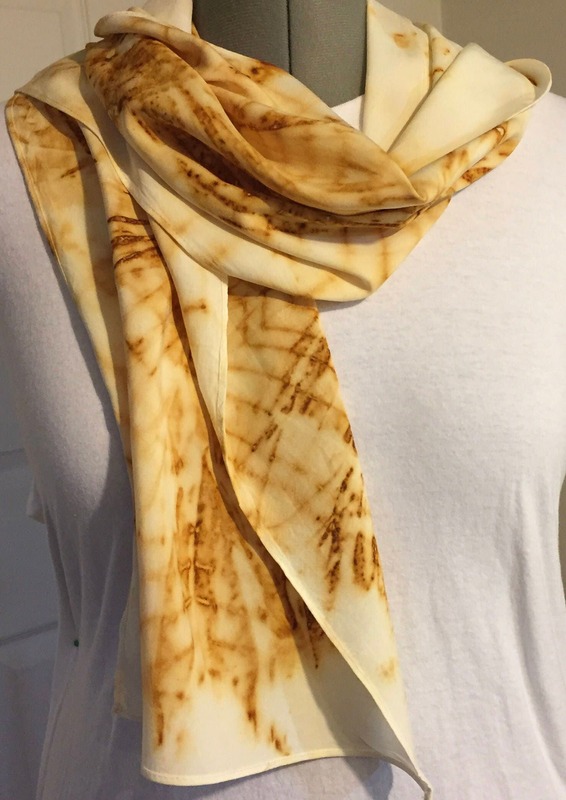 Bamboo Rayon scarf, dyed using rust technique around counter weights and re-bar. 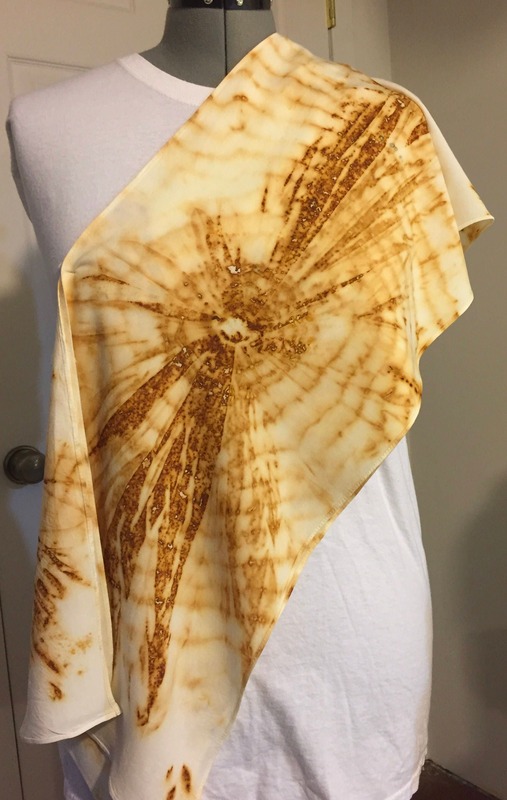 Spiral design on rayon. 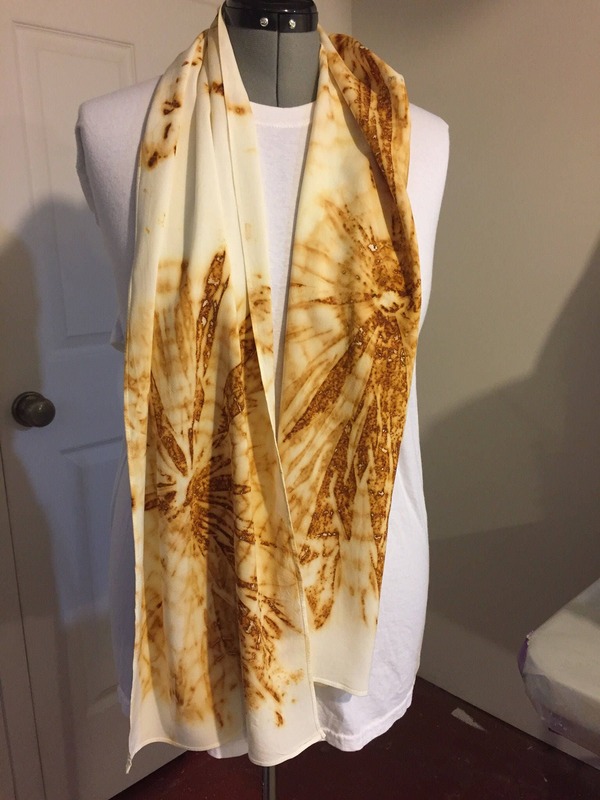 Hand wash mild soap and iron light. 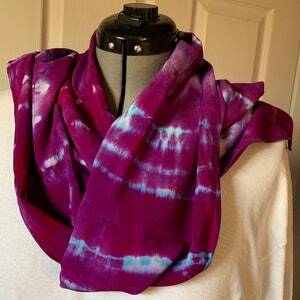 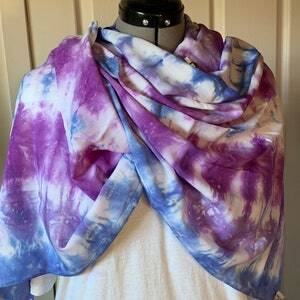 Bamboo Rayon Scarf, 100% Rayon, Blue violet with turquoise highlights, 14 x70. 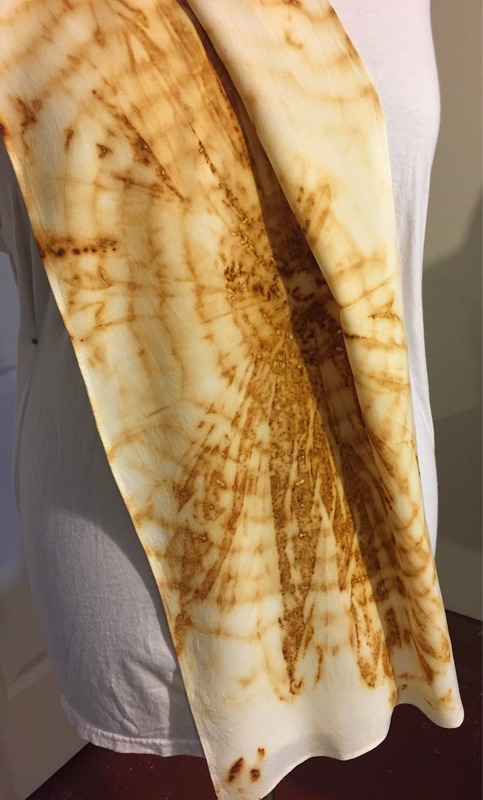 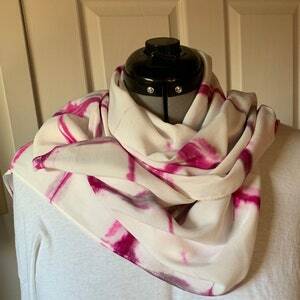 Bamboo rayon scarf, 100% bamboo rayon, raspberry itijame, 14 x 70. 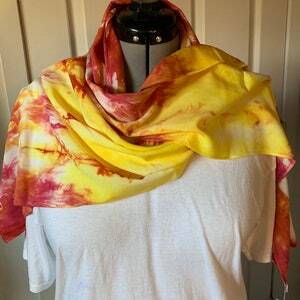 Bamboo rayon scarf, 100% bamboo rayon, fire red and bright yellow, 14 x 70.